Governor Gretchen Whitmer has appointed a Northern Michigan man to the three-member agency that regulates utilities in the state. 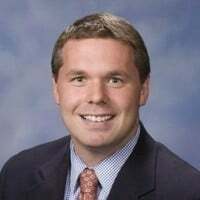 Dan Scripps of Northport has been tapped to join the Michigan Public Service Commission, pending the Senate’s approval. He’ll replace Rachael Eubanks who stepped down from the position to become state treasurer. Am ong other duties, the Public Service Commission sets rates for natural gas and electricity supplied by providers like Consumers Energy and DTE Energy. Scripps is the Midwest policy program director at the Energy Foundation, which promotes renewable energy. He’s also a former democratic member of the Michigan House.